Soorce: Statistical Office o the Republic o Slovenie, census o 2002. 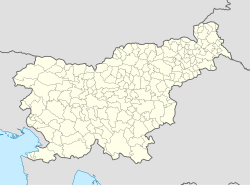 Celje (pronounced [ˈtsɛːljɛ] ( listen)) is the third-lairgest toun in Slovenie. ↑ "Celje, Celje". Place Names. Statistical Office of the Republic of Slovenia. Retrieved 23 June 2015. This page wis last eeditit on 11 Mairch 2018, at 16:26.